Manchester United is the team that is shortage of big names and the figure of the leader now, according to Stoke City striker Peter Odemwingie. The care team of Louis van Gaal is in fourth place in the Premier League standings, but their performance was disappointing because they make the manager and the team continues to be under pressure. They will play against Stoke, who was sitting in ninth this week. Odemwingie told The Mirror that previously there were more qualified figure in Manchester United, they had a leader within the team, and they have a lot of stars. Now, they are losing it. 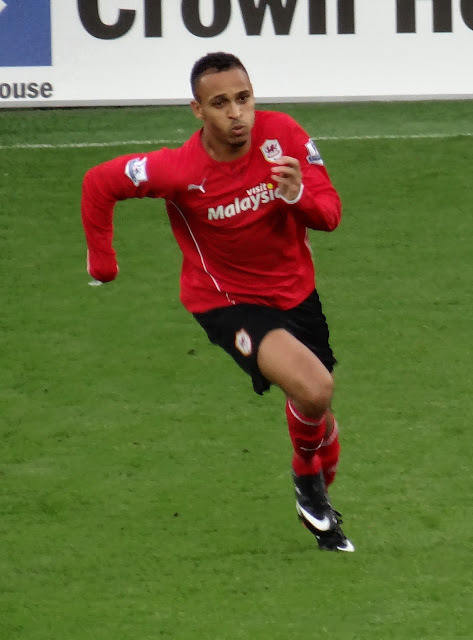 Odemwingie also added that there are many teams experiencing it. When a team loses one layer of generation of players, it is difficult to find back the same figure. He thinks that this is a process that they have to go through to rebuild their team. Odemwingie mention that the MU is not aggressive as before. The Red Devils did not dare to take risks as before and that's why there are many opponents who use it.